Indie Retro News: Monster Boy And The Cursed Kingdom - Gamescom 2016 Trailer: The Power of Six! Monster Boy And The Cursed Kingdom - Gamescom 2016 Trailer: The Power of Six! 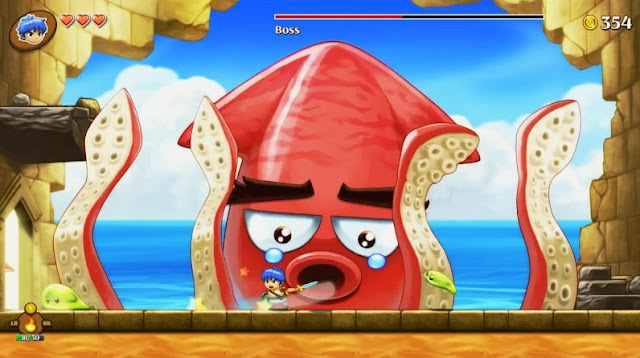 Today the developers FDGGames have released a brand new trailer for their upcoming spiritual successor to the Wonder Boy in Monster World series, ' Monster Boy And The Cursed Kingdom '. In cooperation with the legendary creator Ryuichi Nishizawa, this latest Gamescom 2016 Trailer: The Power of Six shows us a lot more action involved in the game including the various abilities available to each transformation.